Vijayawada (Andhra Pradesh) [India], December 31 (ANI): Indrakeeladri Temple authorities here on Monday declared that devotees including women will now have to follow a new dress code which will be soon put in place for getting entry into the temple premises. Amravati (Andhra Pradesh), [India] Dec 7 (ANI): With polling underway in Telangana to elect a new assembly, Andhra Pradesh Chief Minister N. Chandrababu Naidu on Friday urged the electorates to exercise their 'right to vote'. Amravati (Andhra Pradesh) [India], Nov 6 (ANI): Andhra Pradesh Chief Minister N. Chandrababu Naidu extended greetings to all Telegu people across the world on the occasion of Diwali. 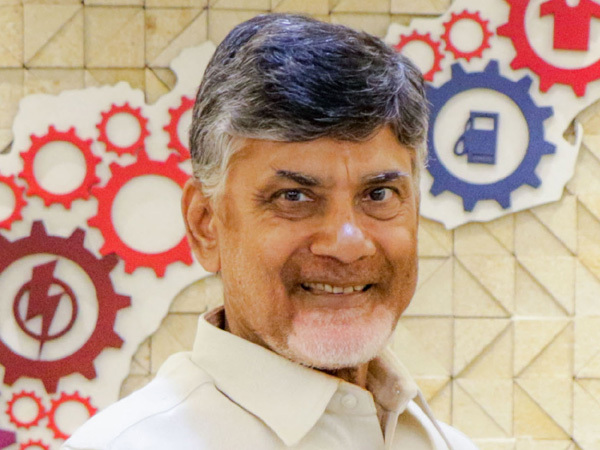 Amaravati (Andhra Pradesh) [India], Oct 31 (ANI): Andhra Pradesh Chief Minister and Telugu Desam Party (TDP) chief N. Chandrababu Naidu on Wednesday launched the party's membership enrollment drive 2018-2020 here with an aim to enroll one crore members in the party. Amaravati (Andhra Pradesh) [India], Oct 25, (ANI): Andhra Pradesh Chief Minister N. Chandrababu Naidu has lambasted Prime Minister Narendra Modi-led central government, saying that it is deliberately trying to hamper the development of the state.